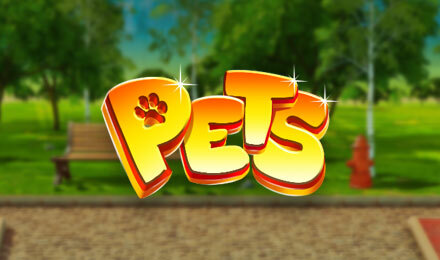 Cute, soft, cuddly, smiley world popular pets are all found on Pets slot game created by Pariplay! Enjoy a world of wonder at Moon Games with 100% welcome bonus! Profit from animal themed high paying symbols on Pets slots! Symbols such as: cats, dogs, rabbits, turtles, fish, hamsters, birds, wilds and bonus will get you winning. This slot game brings all your favourite pets into one place, and enables you to have a great adventure. Fill up your bankroll with the free spins, expanding wilds, sticky wilds and bonus round features. With an RTP of 94%, grab massive wins! The colourful and sharp graphic slot game from Pariplay is an enticing slot game that everyone enjoys at Moon Games.